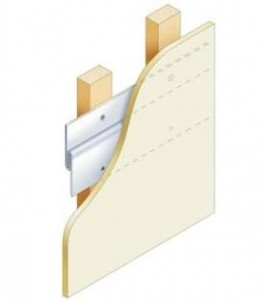 Split battens are secret fixing systems designed to provide an effective and efficient way of hanging wall panels, boards, cabinets, pictures and other solid items to internal vertical structures and surfaces. GA Panel-Fix is a superior ‘invisible’ aluminium alloy panel fixing system that provides a number of advantages over other split battens. Aluminium’s low weight to high strength ratio makes this an ideal material for split battens. Independent testing, by the Ceram Institute, of our GAWP1 profile shows a hanging capability (subject to suitable substrate fixings) of being able to support the weight of a small car! Quite impressive for a system that weighs less than 0.6kg/metre! 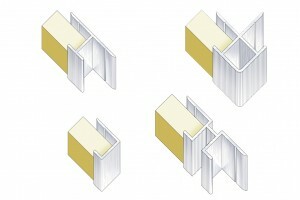 The compact mirror image design of the interlocking aluminium extrusions, together with the pre-drilled countersunk holes, makes for simplicity of fixing. There is also an unobtrusive minimal wall to panel fixing distance of 5.2mm and 8.7mm for the GA WP2 & GA WP1 profiles respectively. 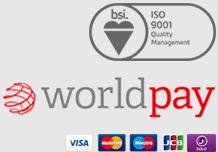 Gooding Aluminium the national and international supplier of a wide range of high quality aluminium sheets, aluminium profiles and aluminium extrusions have launched a brand new range of aluminium wallboard trims known as Pan-L-Trim aluminium wallboard extrusions, from the ‘Elite’ range. Gooding Aluminium new ‘Elite’ range of Pan-L-Trim aluminium wallboard extrusions will enhance many paneling installations with their silky smooth and finely ribbed anodised surfaces. The reduced dimensions of ‘Elite’s’ board retaining flanges are combined with finely fluted matt anodised surfaces, minimising visibility and also reducing surface reflection. He went on to say: “With immediate stock availability and the option of integral shadow gap designs, for 13 and 16mm board thicknesses, the ‘Elite’ range of Pan-L-Trim aluminium profiles are sure to be an important element of many board and paneling projects”. Aluminium Pan-L-Trim Elite can be ordered online today for prompt dispatch.